Become a member of Manufacturing Partners and join the fastest growing trade association of U.S. manufacturers, machine shops, job shops and other industrial suppliers. As a member of Manufacturing Partners you’ll get the benefits of driving more customers to your website, increasing your company’s visibility online, and be introduced to companies looking for the products and services you provide. Submit Your RFQ to US-based manufacturers for any kind of machining, fabricating and other custom manufacturing solutions. MFGpartners.net will connect you with the most suitable manufacturer capable of meeting your specific needs and budget for any kind of product. We can help you locate a suitable, reliable and trusted manufacturer of virtually any product you need. Source More Efficiently – In Real Time! Explore Manufacturers here on MFGpartners.net, the American Manufacturers Network. Find an American quality-certified manufacturer you can trust. MFGpartners.net is the only resource on the Web dedicated to the promotion of US-based quality-approved machine shops. Why Submit an RFQ Through MFGpartners.net? * FREE SERVICE – There is no cost to use our RFQ submission service. * SAVE TIME – Submit your request to multiple shops instantly. * BETTER VALUE – Quickly compare bids from manufacturers. * CONFIDENTIAL – Your information is 100% secure and never shared. * QUALITY WORK – All machine shops in our network are Quality Certified. 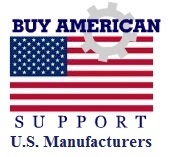 * BUY AMERICAN – Help us bring work to hard working U.S. manufacturers. Thank You For Supporting US Manufacturers!